It’s a new year, and gender and racial inequality persist. 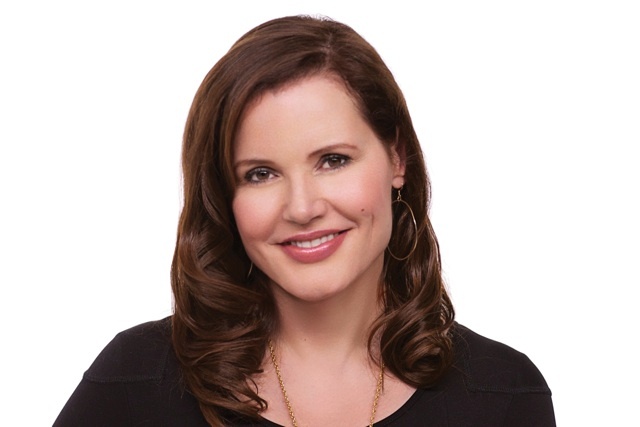 However, Academy Award-winning actress Geena Davis, founder of The Geena Davis Institute on Gender in Media, hit the ground running in 2015 with the announcement that she’s launching a film festival designed around diversity. Davis’ new film festival, the Bentonville Film Festival, is being described as an event “designed around diversity” because it’s designed to not only promote diversity to its festival audiences, but also guarantee distribution across all platforms to the films that win the Audience, Jury Selection and Best Family Film awards. Bentonville’s mission is not unlike that of the Athena Film Festival, founded by the Athena Center at the historic women’s college of Barnard in conjunction with Melissa Silverstein, founder of Indiewire Network blog Women and Hollywood. Celebrating its fifth anniversary next month, the Athena Film Festival pioneered the creation of an intellectual space devoted entirely to the cinematic works and achievements of women. We spoke to Davis just hours after news of the festival broke. Where did the idea for the festival come from? Can you take us through the steps? I think the idea of a major festival for women in film has been something that was more “I hope somebody does that” because it seems like such an enormous undertaking, but I’m very good friends with Trevor Drinkwater, who heads Arclight, and we started talking about it. We both have a lot of good connections and I had actually formed a great relationship with AMC. They asked me to come and speak at their corporate headquarters maybe a year, year and a half ago and they were really interested so we’ve been working together ever since. I was able to talk to them about this, which they immediately responded to and that’s part of how we got the great, unprecedented prizes for the festival, of guaranteed distribution. Trevor has a lot of connections with Walmart and they, of course, are going to do the DVD release of the films, so it sort of all started falling into place. We’re at a point where we’re ready to announce and move ahead. Walmart was the founding sponsor and it had a keen interest in having it there. It’s a great town because there are a lot of wonderful resources. It’s a fantastic setting for something like this. There is a world-class museum there called Crystal Bridges, and so that helped us decide on [Bentonville]. All of the sponsors that have come onboard so far, and they are coming in daily, have, as corporations, a strong interest in promoting women’s empowerment. Walmart has a great initiative which is ambitious, in supporting female entrepreneurs in the United States, so I think it all just made sense. Also, I really like that the initials are BFF. It’s cute. Can you explain how you and your team are going to be going about curating the program? The submissions open [date] and we’re assuming, partly through your help and others, that people will learn about this. And of course, we’ve let all the studios, all the agencies, everybody know that it’s coming up. Because of the short notice, it probably is going to be films that are already made or very near completion. Nobody is going to be able to say, at this point, “I want to make a film now and get it in.” That will certainly happen in subsequent years. What I’m really hoping will happen is that someone will be making a film and say, “Hey, that Bentonville Film Festival got a lot of attention and there are incredible prizes, I bet if I added some more female characters or hired a female director or had more diversity in my cast, then I could get in there and maybe win a prize.” That is one of the outcomes I’m really hoping for. What do you hope to achieve through Bentonville? The big thing that we want to reinforce: films with female characters, female leads, female directors. It’s [information that] is all known, except people aren’t acting on it. We have so much proof that that is the case. I was just listening to NPR yesterday and [they said] in 2013, there were four films that earned over $400 million. One was “Frozen” and one was “Hunger Games.” It’s not just those movies with women, about women and directed by women that are very successful, but there is still something holding people back from really throwing themselves into the 21st century, as far as that type of diversity in films. Also, research has shown, it’s not our research, it was done by Martha Lausen at UCSD, that shows films about or directed by women are 100% equally profitable to films starring or directed by men, when you adjust for budget. But people just aren’t as aware of that. What’s important to me is that the festival is not just talking about making a movie starring a woman, making a movie starring a person of color; it’s great when people do, we’re very glad and grateful for that, and when I go to studios I say, if you make those, thank you, god bless, and cast me. But my message is to look at the world of the movie and make whatever you were already going to make, already planning to write — maybe it’s already written — but before you cast it, go through and change a bunch of first names to women, figure out where you can add characters of diversity and, bam, you’ve really improved the film and broadened the audience and probably made it much more interesting than it was in the first place. How is the Geena Davis Institute going to be involved with the festival? We hope to, and plan to research everything about the festival. Track what each year’s films were like and what they reflected, whether there is improvement every year, which will also be very helpful. There is a Bentonville Film Foundation as well, operated by the Institute, and we will go to colleges, universities and film schools to work with the next generation of content creators on all of this. You’re really keeping everyone on their toes. There really is no reason we have to wait a long time. We can’t snap our fingers and then tomorrow Congress is half women, or Supreme Court justices; it’s going to take time in a lot of sectors of society for us to reach parity. But in film, you can do it overnight. The next movie you make is gender balanced or directed by a woman or a minority or a person with a disability. I’m very optimistic and impatient. An impatient optimist. I think we just need to get there and do it. I figured out in my head that [if we continue] at the rate that female characters have been added over the 20 years of our study, we’ll achieve parity in 700 years. I’m thinking it should happen in something more like seven, so we’ll see what we can do.